Later this month, the Jacksonville Symphony will present one of the most ambitious concerts of the season: Mozart’s magnificent Don Giovanni. The performances, part of the Florida Blue Masterworks Series, will be Friday and Sunday, January 25 and 27. They also form the centerpiece of our innovative Midwinter Mozart Festival. Operas normally need a more theatrical venue than the Jacoby Symphony Hall, which was built specifically for symphonic performances. Unlike the Moran Theatre just across the lobby, Jacoby Symphony Hall has no wings, no orchestra pit, and little accommodation for sets. A standard “concert” version of the opera, where the singers stand in front facing the audience, was quickly ruled out in favor of a more theatrical approach with more pizzazz. Music Director Courtney Lewis worked with the symphony’s Artistic staff to come up with a solution that dazzles yet fits the space. It’s brilliant stagecraft and masterful musicianship together. Instead of placing the orchestra out of sight in a pit, the musicians will still appear front-and center on the Jacoby stage, where we—and the conductor—can see them. 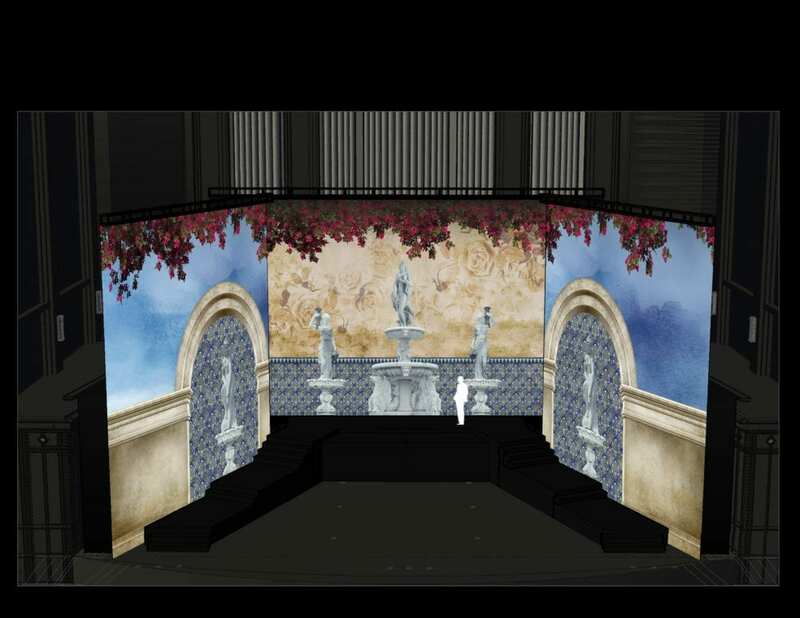 They’ll be surrounded on three sides by risers, forming a kind of pitched U-shaped stage where the cast members will perform in costume. Above all this action, we’ll see 30-foot panels at the sides and very back of the auditorium, where images suggesting a stage set will appear. We’ll also be able to follow the words thanks to supertitles that will be projected in sync with the singers. Lewis and the Artistic staff have pulled off this kind of stage magic before: Humperdinck’s Hansel Und Gretel, presented during the 2016-2017 season, was performed semi-staged, using scenic elements strategically placed on stage and throughout the hall. Don Giovanni is one of several concerts in our first-ever Midwinter Mozart Festival. Others include Coffee With Wolfy, conducted by Associate Conductor Nathan Aspinall on January 11 at 11am; Mozart Opera Scenes on January 12 at UNF’s Lazzara Concert Hall; the Academy Award-winning film Amadeus, with live music performed by the Jacksonville Symphony, on January 18; and Mozart Chamber Music on January 20, 3pm at WJCT Studios.